If federal agencies need an incentive to be more open and innovative in addressing critical issues, they need look no further than news this week from the White House. 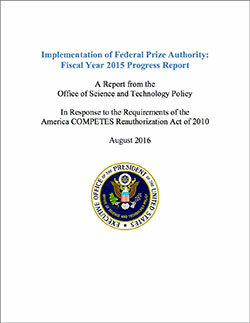 On August 10, the White House Office of Science and Technology Policy issued its Implementation of Federal Prize Authority Progress Report for fiscal year 2015, and it’s chock-full of examples of how agencies have advanced their missions through crowdsourcing and open competition. Since 2010, the U.S. General Services Administration (GSA) has provided Challenge.gov as a place for federal agencies to announce challenges and for citizens to compete for prizes by offering their talents and expertise to the government. During that time, GSA has trained more than 1,500 agency staff members on the effective use of challenges and worked tirelessly to build momentum and share resources through a growing federal community of practice. The work is making a difference and catching on in new places across government. Just look at some of the numbers in the White House’s new report. Between September 2010 and March 2015, Challenge.gov featured 396 competitions from 72 agencies. By June of this year, there were over 700 challenges from more than 100 agencies listed on the site. That’s a huge surge over the past year in terms of challenges launched and the number of agencies running competitions for the first time. But it’s not just sheer volume. Agencies are turning to prize competitions to confront critical issues of national importance such as climate change and infectious disease. 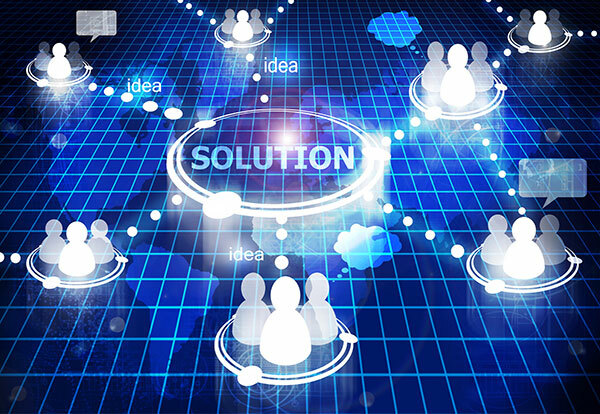 addressing market failures through the commercialization of solutions from challenges. For more specifics on the challenges run this year, be sure to check out the entire report.